There has been a strong denial from a Republican Senate nominee over allegations that threaten to torpedo his political career. Roy Moore is embroiled in sexual misconduct claims, just a month before a special Senate race in Alabama. Among the accusations, a woman says the ex-judge and staunch conservative Christian initiated a sexual encounter with her when she was 14. 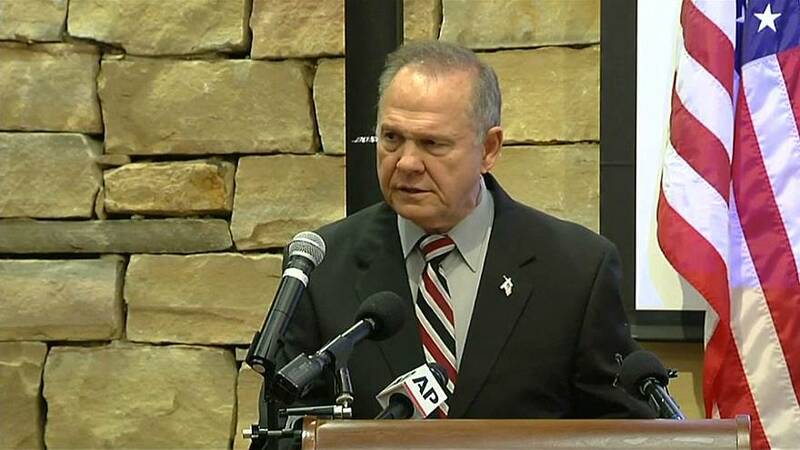 Moore told a Veterans Day event: “Just two days ago, The Washington Post established — or published, rather — yet another attack on my character and reputation in a desperate attempt to stop my political campaign for the United States Senate. Senior Republicans had earlier gone on record to say that if the allegations were proved to be true, then Moore should withdraw from the race. Protesters turned up to the event, calling on Moore to step aside. But his supporters remain unmoved. In a blow to Moore, a senatorial committee that helps Republicans get elected has moved to cut off fund-raising ties with the candidate.